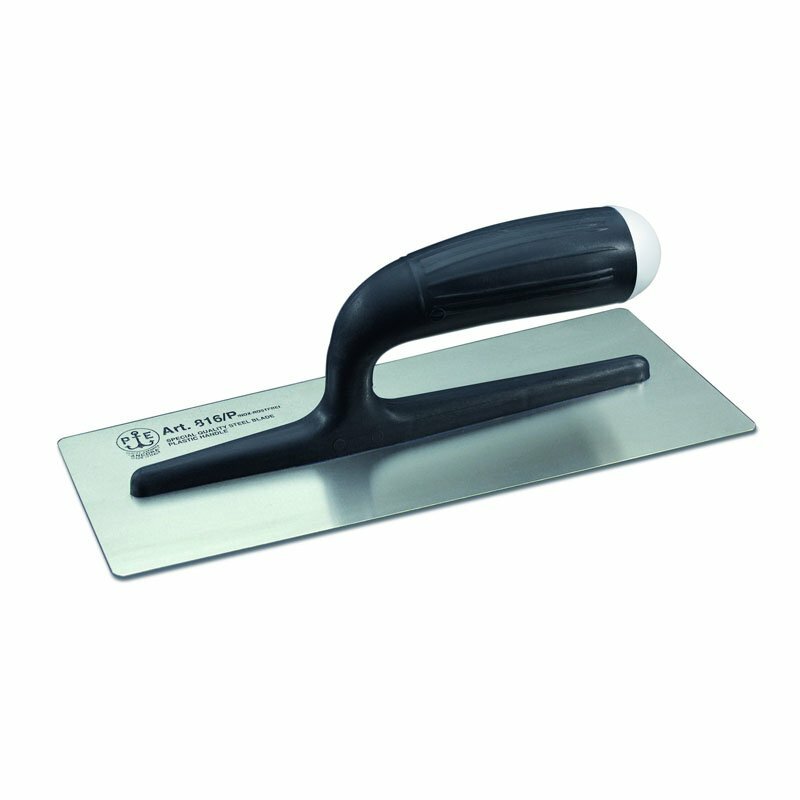 Pavan 816/PIT Ultra Thin Burnishing Trowel with an ultra thin stainless steel blade. Trapezoidal shaped with a plastic support. Flexibility and toughness are guaranteed by Pavan under all working condition. The Pavan 816/PIT is assembled by welding. This is followed by rigorous testing for load bearing and x-rayed to check correct joining. An exclusive lip process ensures the perfect application and quality of the final polishing operation. It is the only Italian manufacturer which designs and produces all the components of a wide range of building tools, including trowels, scrapers, brushes, knives, finishing trowels and fine arts tools.